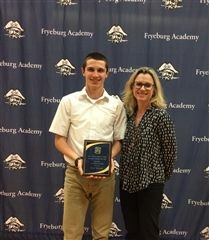 The story of students arriving from China to learn the English language and experience American culture is a familiar one at Fryeburg Academy. The story of Gunnar Gurnis, a Fryeburg resident who traveled to China to learn Mandarin and experience Chinese culture, is a rare one. 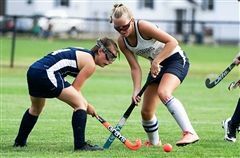 FRYEBURG — Kaylee Emery and Kirsten Wentworth scored first-half goals Thursday, and Fryeburg Academy went on to a 3-0 victory against Yarmouth in a Western Maine Conference field hockey game. 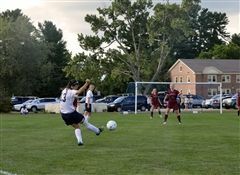 Maggie Powers made it 3-0 from Abigail Hewes in the second half for Fryeburg (3-0). Ryan Buffy and Camden Jones added assists. Cayte Tillotson made 12 saves for Yarmouth (1-2). We are pleased to announce that Fryeburg Academy’s Head Football Coach David Turner has been named the 2017 Class “C” Campbell Conference Coach of the Year. 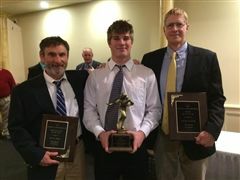 Turner was recognized on Sunday, November 19 at the All-Star Banquet held each year by the Campbell Conference to recognize outstanding athletes and coaches in each class. 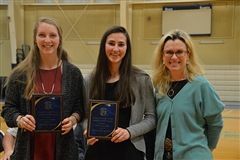 On Thursday, November 16, the 2017 Fall Sports Awards Night was held at the Harvey Dow Gibson Athletic Center to recognize outstanding student-athletes who played during the fall season. 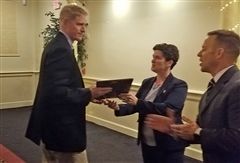 Eight different sports were represented along with 176 student-athletes and their respective coaches attending the evening’s event with family and friends. FRYEBURG — In mountain biking, you’re not just competing against other teams. You’re competing against rocks. Fryeburg Academy mountain biking coach Tyler Wilson describes Fryeburg’s home course as “classic New England” with “hand-built trails with rocks, roots and natural features. 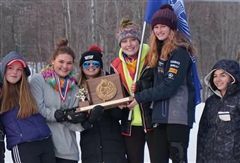 FRYEBURG — It was a record-setting day for members of the Fryeburg Academy cross-county teams on Saturday. 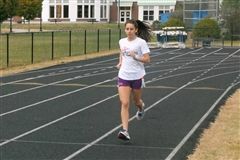 Alfie Walker, the lone male Raider, and all seven members of the girls' team ran personal bests at the Class B State Meet in Belfast, Maine. We are pleased to announce that FA’s golf team qualified for the Class B Team State Championships held on Saturday, October 8th at the Natanis Golf Club in Vassalboro, ME. 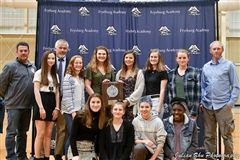 The team’s record for the regular season was 7-4-1, finishing in 7th place at States, where they were also honored with the South B Sportsmanship Award. 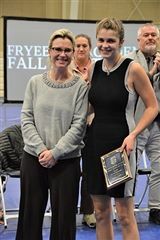 We are pleased to announce that Mackenzie Buzzell ‘17 of Fryeburg Academy has been selected one of 20 finalists for the 2016-17 Triple-Impact Competitor Scholarship Program from across New England by Positive Coaching Alliance-New England (PCA-NE). 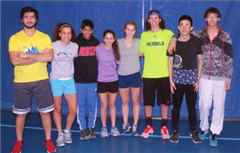 For the second summer, the strength and conditioning program at Fryeburg Academy — run by Mountain Center Performance Fitness — has become an increasingly popular offering with student-athletes. 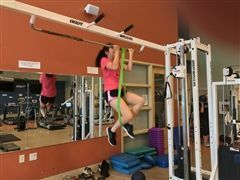 The Academy has contracted with Mountain Center for athletic training services for many years and expanded the partnership in 2015 to include a strength and conditioning program for students. The Raiders end their regular season with a 40-27 win over Cape Elizabeth. "For us, it is all about the process of getting better." "We now have 14 athletes qualified for the State Meet." Follow our feed on Facebook!